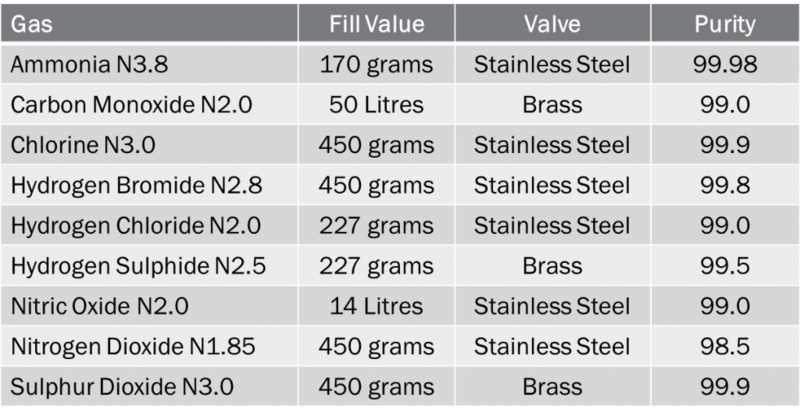 The list of gases available from CK Special Gases is by no means exhaustive, it merely covers our most widely supplied products. Typically we can ship these products around Europe, however as they cannot be transported by air, our supply reach is commercially limited due to the transport costs outside of Europe. Please inquire for your specific location and we can provide an indicative price for shipping. Please do not hesitate to contact us if the product you require is not detailed below, we have supplied many more products that those listed over the years to match customers specific requirements. 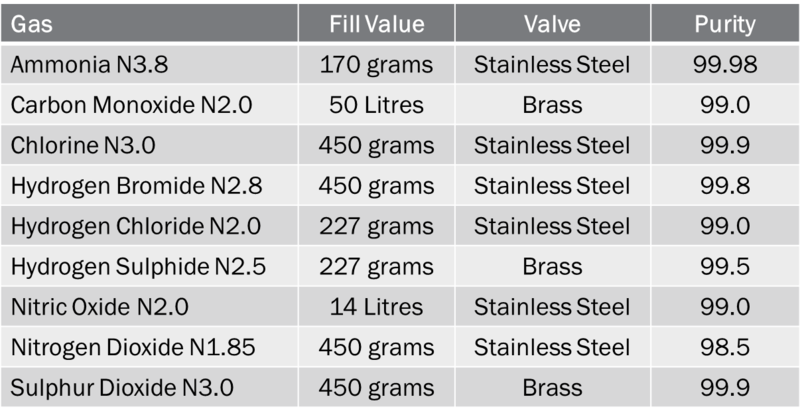 Your product will be supplied with the appropriate valve in either brass or stainless steel and with a standard CGA 180/100 fitting.